The Red Sox received six shutout innings from starting pitcher Rick Porcello en route to a 5-3 win over the Orioles in rainy Baltimore Monday night. 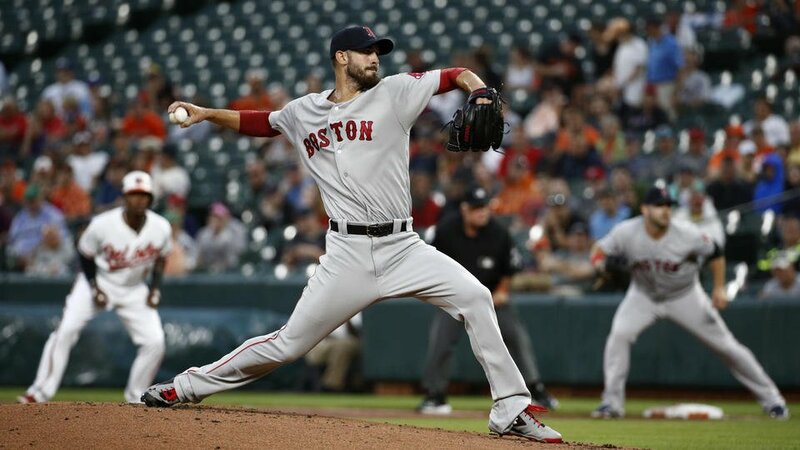 Porcello blanked the O's on on six hits and one walk while striking out six to earn his 12th win of the year. Coming off his poor pre-All-Star Game outing against Toronto, he lowered his ERA to 3.93. Mitch Moreland gave Boston a 1-0 lead in the top of the with his 12th home run of the year. Four more runs scored in the fifth on a bases-loaded walk to Jackie Bradley Jr., a two-RBI double by Andrew Benintendi, and an RBI single by J.D. Martinez. Speaking of JBJ, it was just another night at the office for him with a ridiculous catch in deep center field in the bottom of the seventh inning to rob Trey Mancini of at least a double. With the win, Boston is a full 40 games over .500 and four games up in the loss column over the Yankees in the American League East pennant race.